This is not a test! 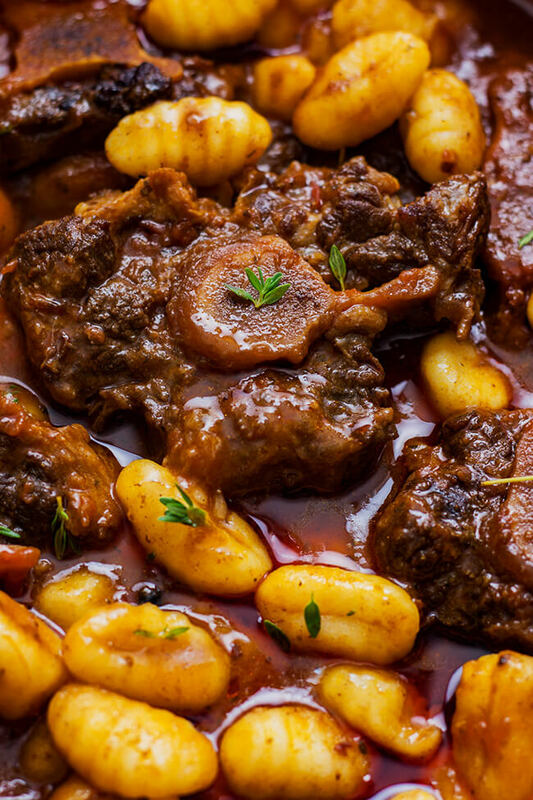 I seriously thought about naming this dish “When Oxtail met Gnocchi”. 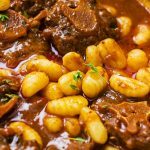 This stew is cooked low and slow until the meat just falls of the bone. 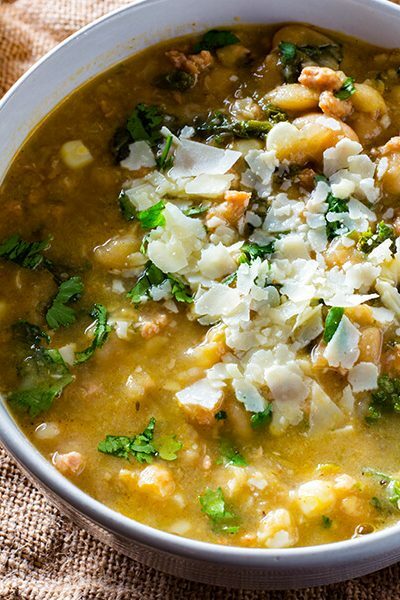 This recipe does come with a warning- you will eat the whole pot. 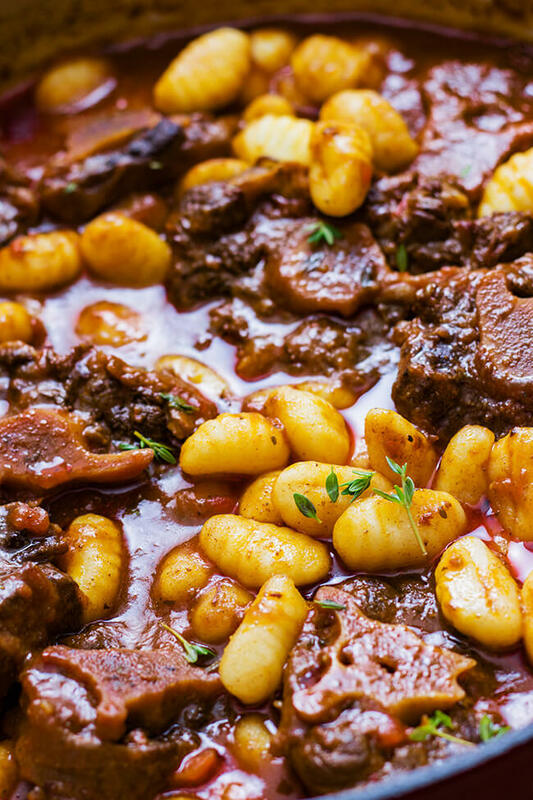 This oxtail gnocchi stew is the perfect beef stew. 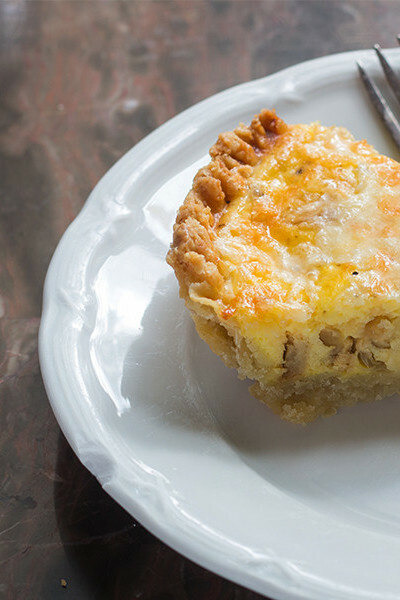 It is rich and indulgent and also very flavorful. Make it today! I know you know that this is on another level. 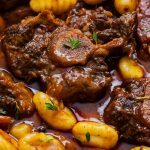 I have a bomb slow cooker oxtail recipe on the blog that I made last year. So I wanted to share my go to stove top version. I am not even going to kid around y’all, this is so darn good. The gnocchi adds another demension to this dish. They plump up and really soaks every bit of the glorious oxtail gravy. So when you bite into them you really get to experience all the flavors in the stew in one bite. So I placed this on the buffet table and it was gone. I literally bubbled with joy when Jonathan said ” mmmm mommy this is like a meaty gummy bear.” Everyone laughed. But mostly they ate and squealed with delight. It is that LEGIT! Try it and tagged me in your pictures. 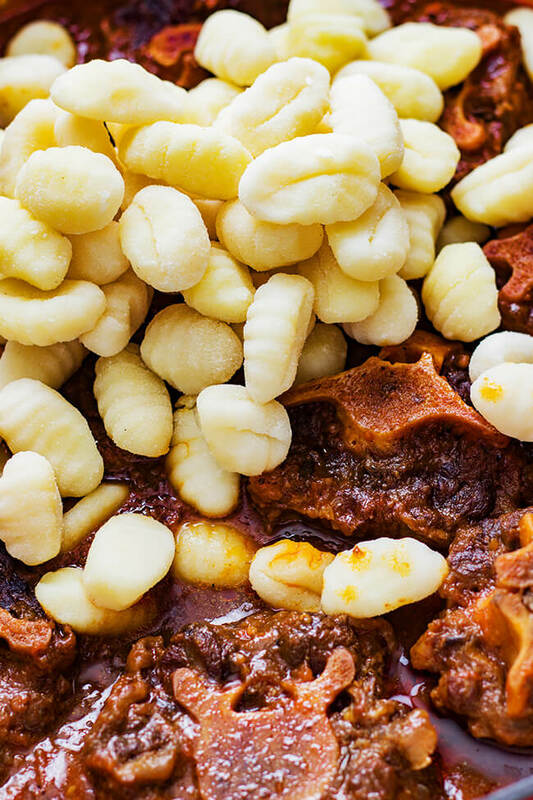 This oxtail gnocchi stew is the perfect beef stew. 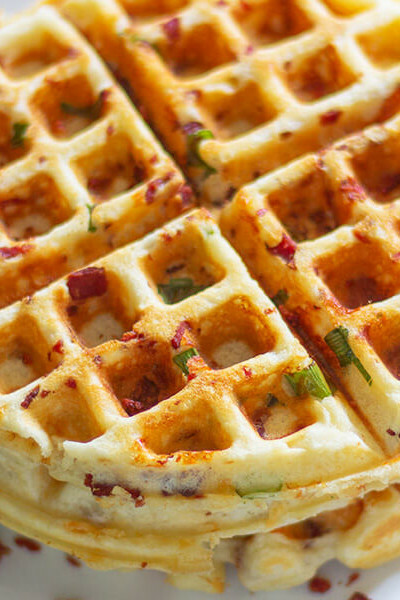 It is rich and indulgent and also very flavorful. Make it today! 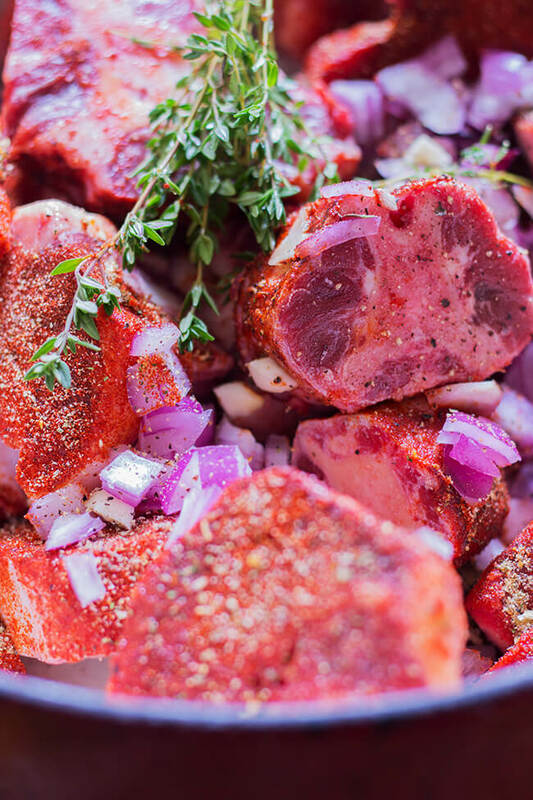 To Prep: Add the oxtail to a ziplock bag along with the garlic, thyme, red pepper flakes, bay leaf, cinnamon stick, cloves and Worcestershire sauce. Place in the fridge overnight. When ready to cook remove the oxtails from the bag and lightly pat dry. In a large dutch pot, add oil. Heat the oil and brown the oxtail on all side. Remove the oxtails and drain off excess oil. With about 1 tablespoon of oil add the rest of the marinade and cook for about 5-7 minutes. Add enough broth or water to just cover the oxtails and bring the mixture to a boil. Lower to a simmer, cover and cook 2 hours. 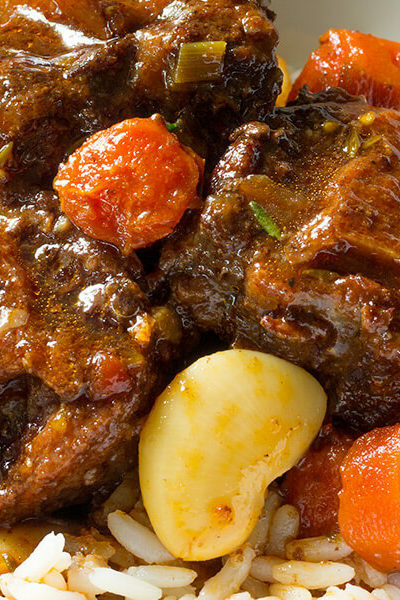 Every 30 minutes for 2 hours add 2 cups of water or broth to keep oxtails covered with liquid. Bring to a boil then simmer uncovered 2 hours, skimming fat off top and stirring occasionally. In the last 1/2 hour of cook time, season with 2 teaspoon salt. In the last 10minutes of cooking add the gnocchi. Stir well and allow the gnocchi to plump up. Serve warm. Enjoy! Hello Ann, this recipe looks amazing. I am usually the one cooking at all of the family gatherings. My father in law just asked me to whip up my oxtail recipe for his birthday next week. So I got online for new ideas. I came across this and your slow cooker recipe. I would love to try both. 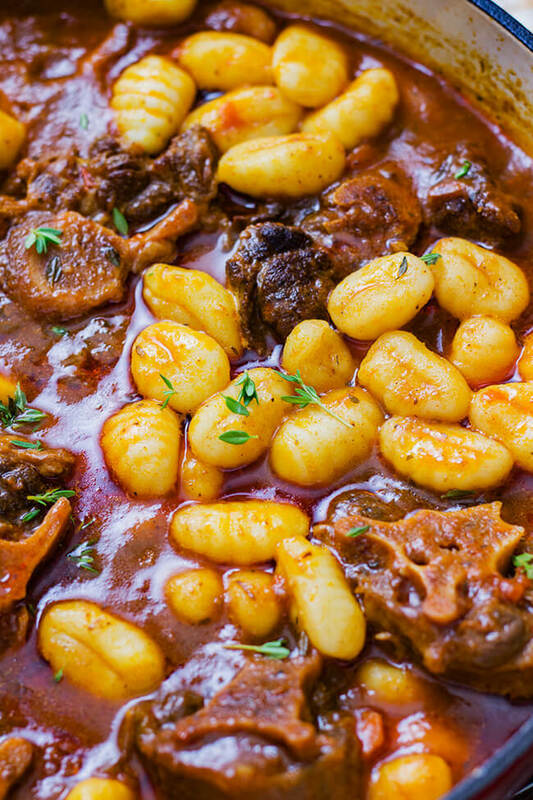 Leaning towards the gnocchi for his birthday though. 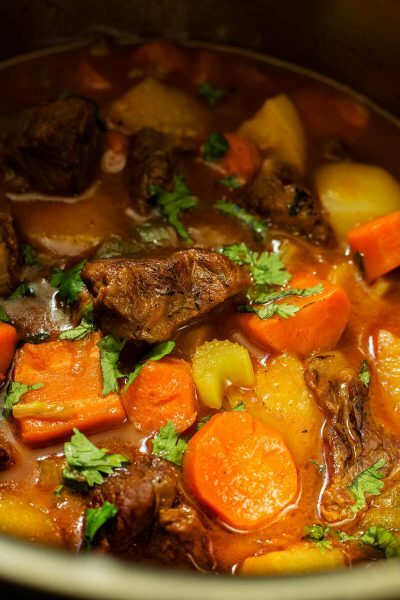 My fiance loves my beef stew, and dad loves my oxtail. I figured this would please everyone. you think it would come out well in the slow cooker? Hi, looks lush. but a bit curious that the recipe notes “low sodium” stock and then bungs in 2 tbs of salt ! 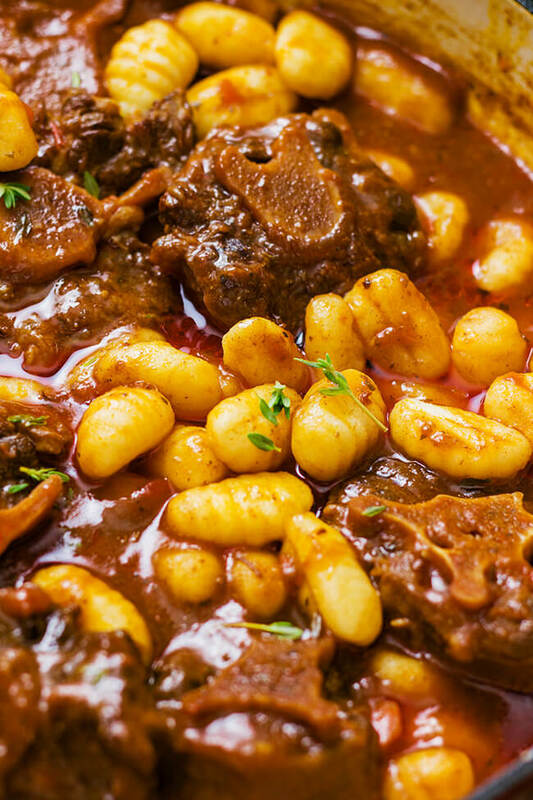 Gnocchi and Oxtail seems like a match made in heaven. These pictures are amazing. Hey Liv!! I don’t even understand why this JUST came to me. OMG! 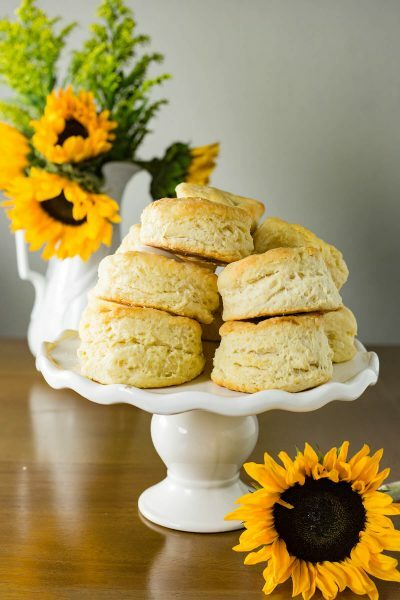 I hope you like the recipe. I love oxtail! 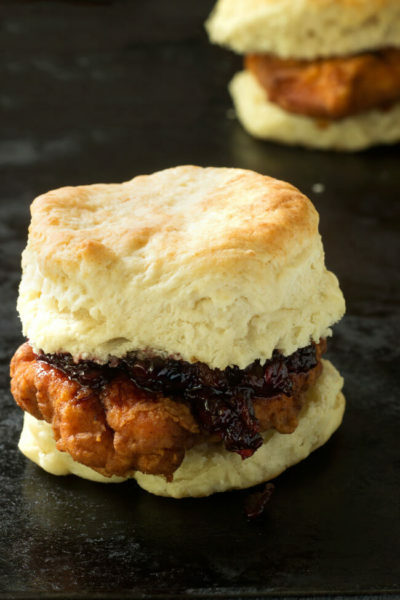 I’m going to have to make this.